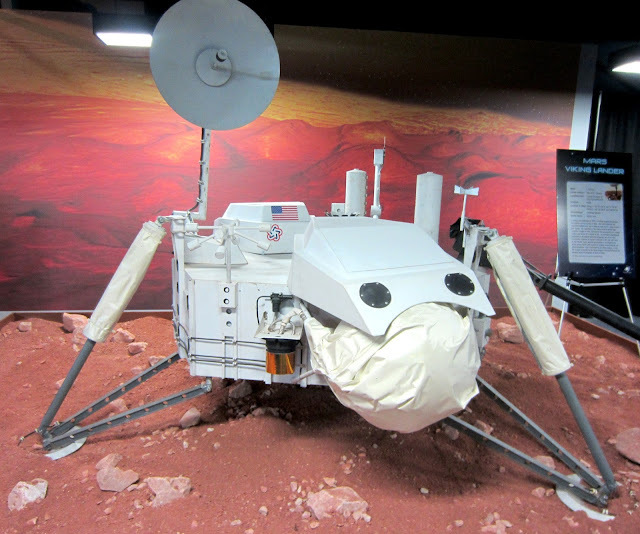 Next on our list of Colorado outings, F&B wanted to check out the Space Foundation Discovery Center. Since it's summertime, they had a special for active duty military families, so we saved our Living Social deal for when Nana visits and took advantage of free Blue Star museum admission. Since Daddy was off for the day, he joined us as well. 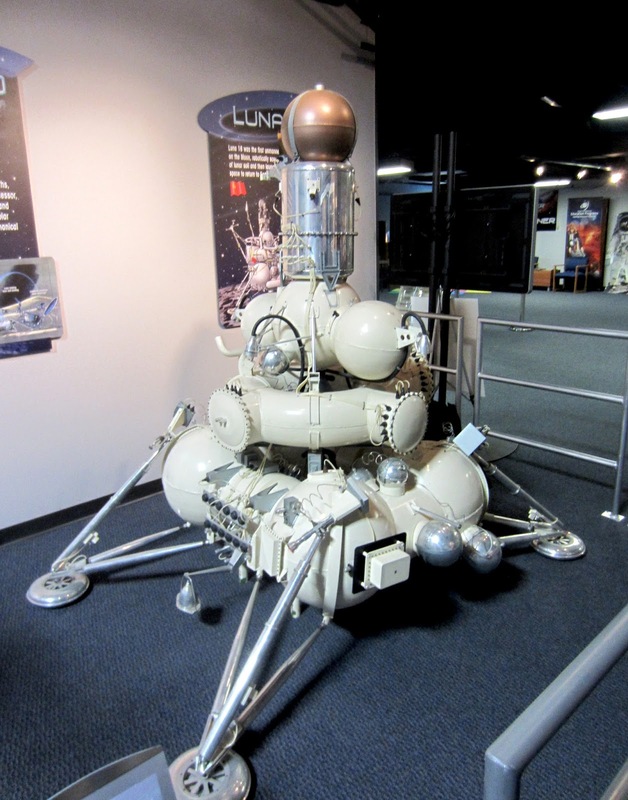 The museum itself is a huge open room with tons of exhibits and replicas of space travel. The kids were especially intrigued with the space food, which actually did look worse than the standard Army MRE. OK, the dehydrated rice kind of looked like a bag of bugs, which fascinated and disgusted Ben all at once. 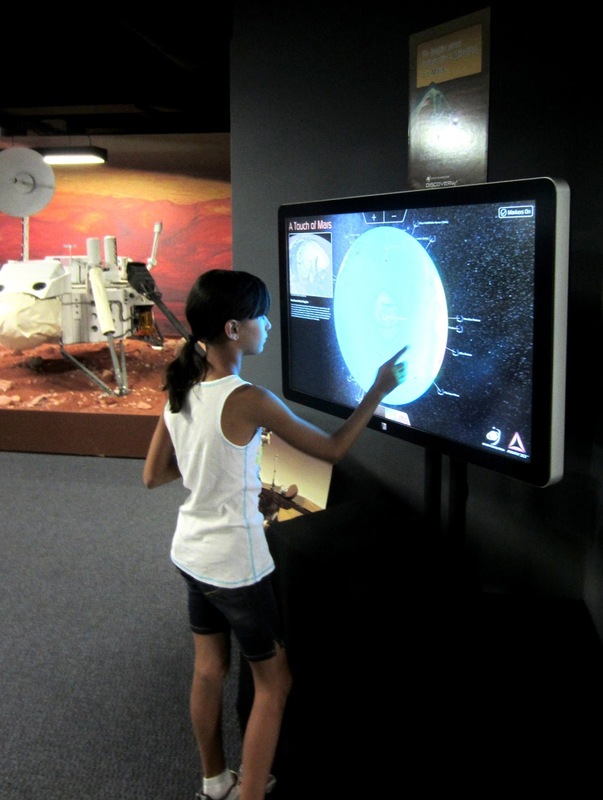 The interactive displays allowed the kids to play around with maps of the solar system and details of the planets and spaceflight. We also had the chance to take in one of the big spherical presentations about the earth and assorted views from space. All the views were interesting--topography, clouds and weather, etc, but the view of Facebook connections around the world was really interesting! 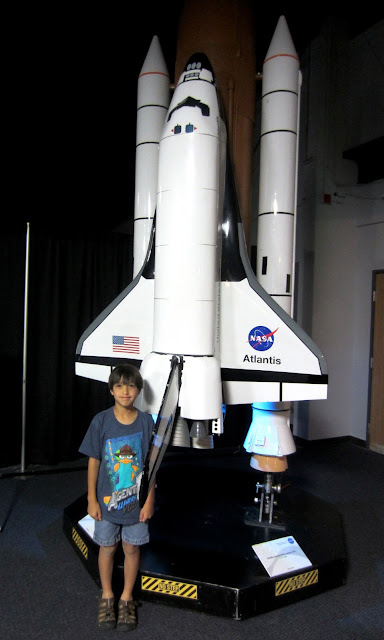 During the summer, the Space Foundation had a whole Summer of Discovery theme, which meant a different theme each week. We happened to go during the Women in Space week, and on a day a former astronaut was there, so Faith got to meet her! We had hoped to stay for her talk, but the timing didn't work out for us. Now that we've seen what they offer that way, we'll definitely be looking at the schedules for more events! Some sort of landing craft, I forget which kind! The middle section of the museum featured a craft area for the kids. On the day we were there, they had assorted coloring pages and a chance to make a rocket from a toilet tissue roll, along with some other crafts. The kids picked up the crossword puzzles to take home, and followed the scavenger hunt through the museum (definitely a must-do!). 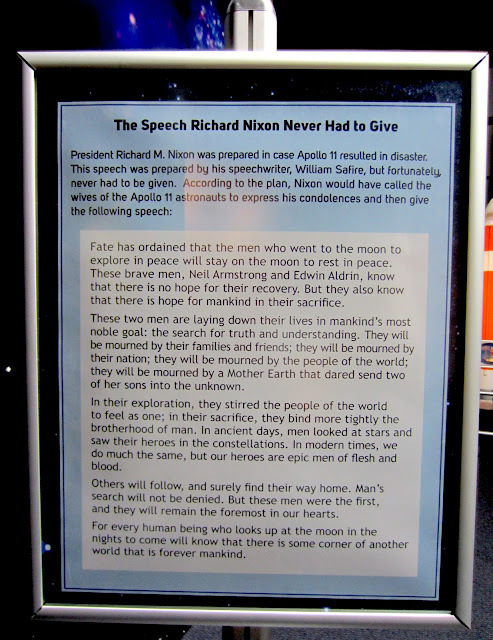 because the moon landing was successful. All in all, the museum took us about an hour and a half to go through, but it could be longer on one of the Saturday or other special events. We really liked that the exhibits and features change, especially the special events, so we'll be tracking those this year to find more for the kids!